Product Claim: Combining Japanese beauty principles and rituals influenced by Zen Buddhist teachings, NatureLab Tokyo formulates their products with botanical stem cells and plant-derived ingredients to keep the scalp healthy and combat frizz and dullness. 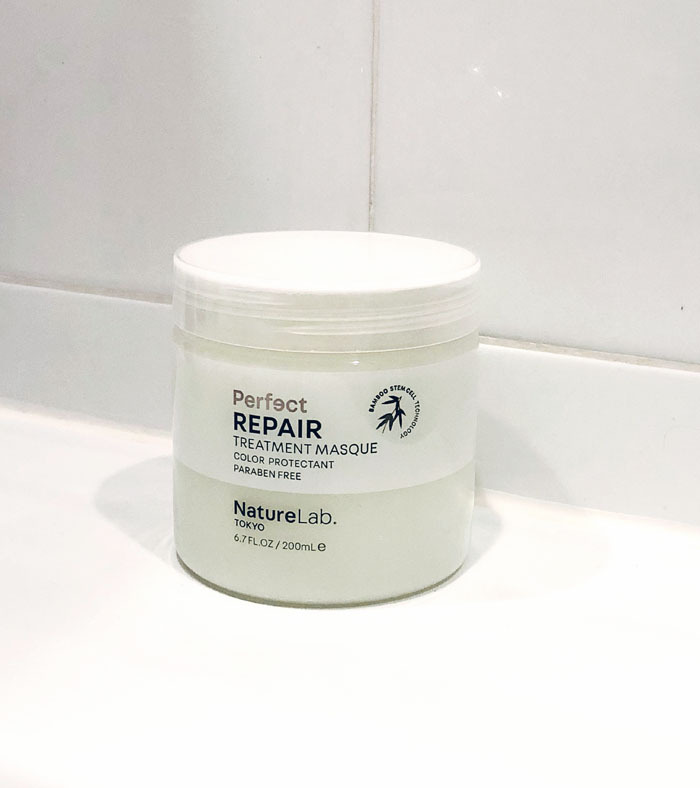 The Repair Treatment Masque is a bamboo & keratin-fortified deep conditioning treatment for smoother, stronger hair. How To Use: Apply from ends to scalp, leave in for 3 – 5 minutes and rinse. Fragrance: Inspired by Japanese bamboo forests with a hint of green tea and cypress. Pros: The mask has a very refreshing scent that is not overpowering and a smooth texture that isn’t as heavy a consistency as other hair masks I have used. For someone concerned about protecting my colored hair, this mask is ideal because it is free of Parabens, Sulfates, and Phthalates so my color won’t strip. A bonus is that it is also animal testing and animal cruelty free! Cons: While it is lightweight, I noticed an increase in oil production when using more than a quarter size amount in my long hair. When using a quarter size or less, my hair felt soft and shiny without any added weight. Be mindful of your hair type and how much product you use.